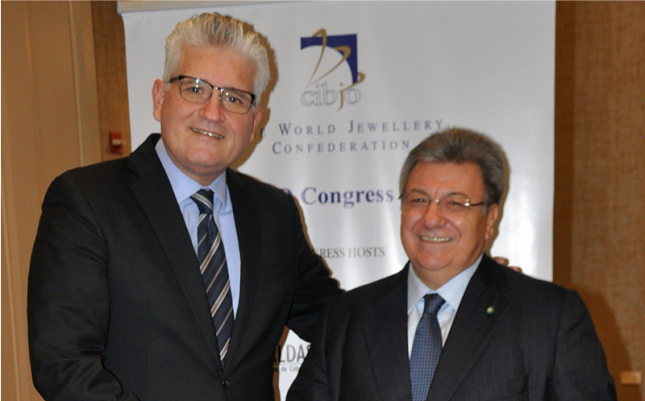 "Five years ago I had the honor and the privilege to be invited to join the CIBJO Board of Directors by the President, Dr. Gaetano Cavalieri (pictured above with Avidar), and given the opportunity to serve as Vice President. In 2007 I left the Israeli Foreign Ministry, where I had served as a career diplomat, to join the diamond industry. Now 12 years later, I feel compelled to go back and serve my people, as an elected member of the Israeli Knesset." "I greatly value my time in the industry, and in particular the period I served as a CIBJO officer," Avidar continued. "In particular I feel indebted to Gaetano, who taught me a great deal about the meaning of leadership. I am privileged to consider him a dear friend." "It is with regret that we accept Eli's resignation, but we applaud his reasons for doing so," said Cavalieri. "There is no higher calling than public office, and from our experience Eli has the commitment, knowledge, skills, talent and motivation to be a tremendous parliamentarian. Our loss will be his country's gain. We wish him the very best of luck." In addition to his position at CIBJO, until 2018 Avidar served as Executive Director of the Israel Diamond Exchange and Managing Director of the Israel Diamond Institute.